Riot Fest announced the first big wave for its lineup late yesterday but they're still keeping a few under wraps, including the 3-day fest's third headliner. The biggest lineup news for us is the announcement of Motörhead, Public Enemy, Bad Brains, and the Keith Morris-fronted Black Flag reunion band 'Flag.' Hopefully all or most of these bands will be playing the same day, we will keep you posted on any future lineup announcements. Currently 3-Day passes are on sale for $109.98 (plus fees) and VIP passes are $175 and they include access to private lounges and viewing areas plus 15 beverage tickets. 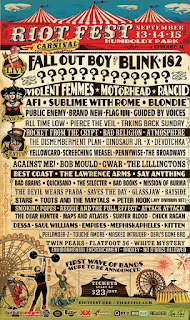 Riot Fest will be held in Humboldt Park, Chicago September 13th-15th. 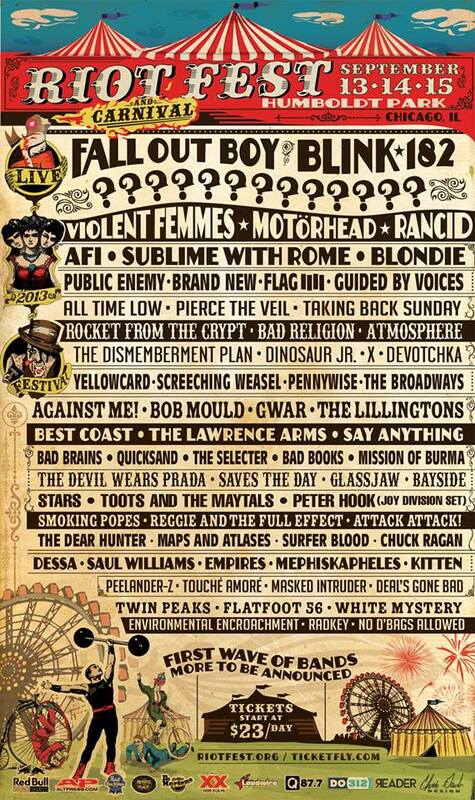 *Update: Unfortunately Motörhead and Bad Brains will not be playing the fest.